Parkhound was founded for one basic reason – to help consumers have access to convenient, cheaper parking options in a single community marketplace. Our premise was straightforward: create a technology platform that makes it simple for people with parking space (Sellers) to list and find renters (Buyers) for that space. Local residents and businesses make money from leasing a parking space and drivers get a cost effective and hassle free parking experience. Operating since 2013, we are now Australia’s Number 1 Car Parking marketplace - a thriving online community where tens of thousands of users nationwide lease and rent out spaces each day. In September 2017, the business was acquired by Spacer Marketplaces (www.spacer.com.au), Australia’s largest marketplace for self-storage solutions. The aggregation of the two brands have created the largest online inventory platforms for storage, parking and warehousing solutions in market today. 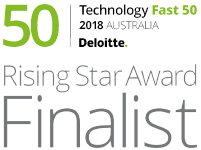 Spacer Marketplaces was awarded 7th place amongst the Rising Stars of the Deloitte Technology Fast 50 awards in 2018, in recognition of our outstanding growth across the Parkhound and Spacer marketplaces. • to provide an open marketplace where Sellers and Renters openly trust and transact in a secure environment. The world is changing and technology is enabling us to share and commercialise all the assets that we have, whether they be physical (like space) or time (labour). We’re proud to be a part of the Spacer family and the Sharing Hub (www.thesharinghub.com.au), a vibrant community dedicated to building disruptive models in the sharing economy.